Today's idea is to make a Petal Card. The image and the bow are mounted on a belly band around the card (the orange piece). 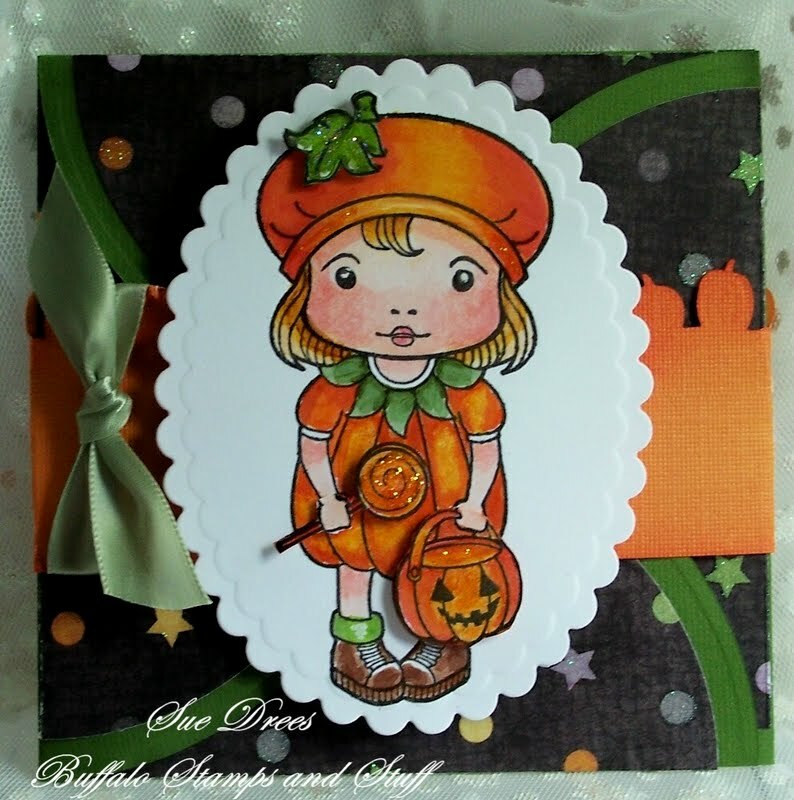 The stamp is Pumpkin Marci by LA LA Land Stamps, isn't she adorable!! The pumpkin border on the belly band is Martha Stewart. 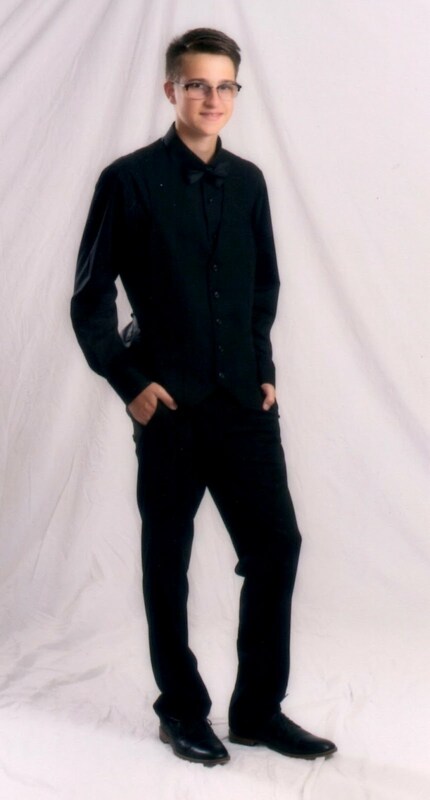 This is the card without the belly band. 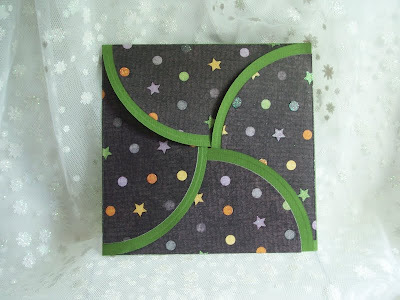 I used circle die cuts, made from textured green card stock and paper by My Mind's Eye. Notice the fold. The inside of the card, I used a square of textured orange card stock. The sentiment is by Impression Obsession B5586. 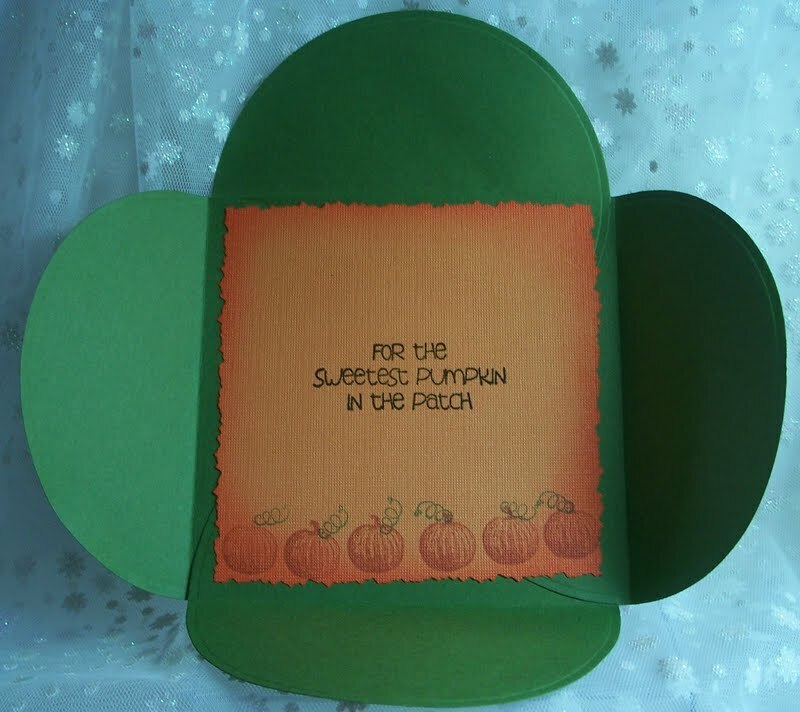 The pumpkins are by Rubber Stamp Tapestry, Pumpkin Border SPV 10004. I'm going to post this card into the Customer Gallery over at LA LA Crafts Blog just for fun! This is a fun fold. Hope you have a change to try it soon. what a lovely and beautiful image sue, great colours and card. This is really a cute surprise card. The image and sentiment are perfect together. I can see a big hug coming from the receiver to the giver. Too cute. LIONS AND TIGERS AND BEARS OH MY!